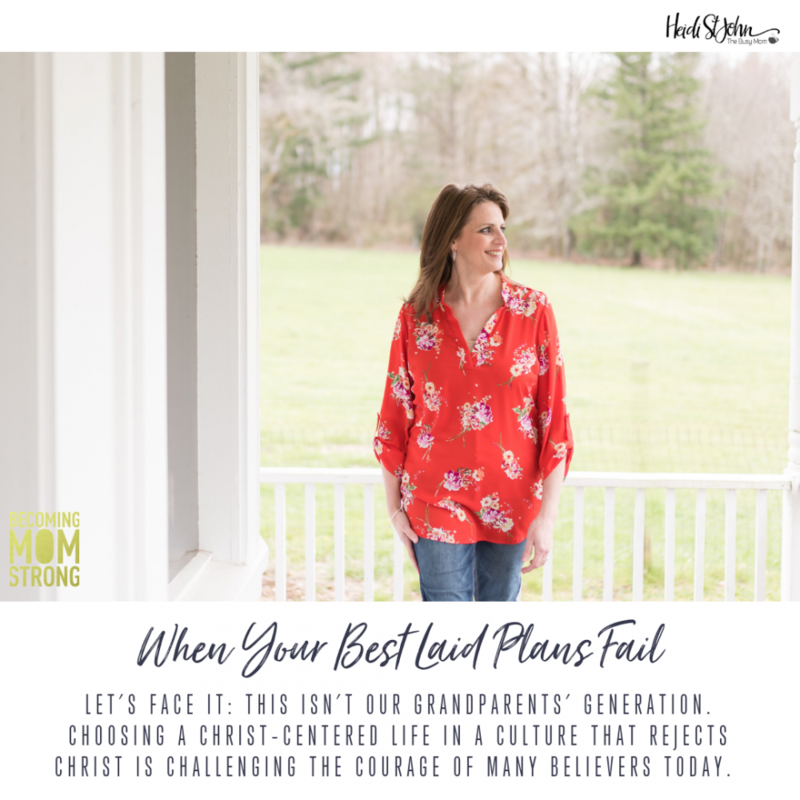 ….and what does this mom do when the firstborn seemingly dislodges the faith that she thought she was diligently instilling in DAILY living? That DAILY walk of faithfulness, no matter what the family faced, she took that and parenting and spiritual growth SERIOUS. What does that mom do when she’s broken over that firstborn’s choices and mistakes and is trying so hard to find the courage to raise 3 more? I just read your comment ADW and I felt my hear tug deeply because I have walked in your very shoes and we are also raising two more. I know this pain. I gave myself permission to feel broken but I did not give up. I cannot tell you how many times I prayed crying till I fell asleep, I believed in the Power of Prayer, my husband and I believed that as long as we had a relationship we had influence, and we demonstrated love when we saw our son and we never gave up. I believed that I was becoming weaker but 6 years later, our Prodigal is back and God was actually making me stronger and God was working on his lost lamb. I still feel the now and then twinge of what if and the occasional anxiety when the phone rings or doesn’t. 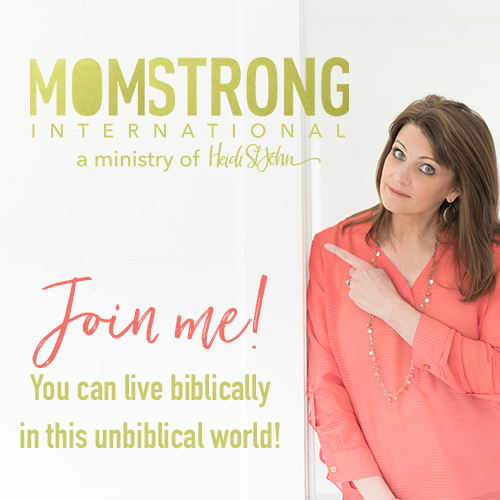 But I know and believe God was doing his greatest work in me, my husband and in our son. Please, I encourage to not lose hope and the courage you have is there. I pray that this helps you if only a little from another mother who knows how you are feeling. God Bless you. I will write your initials in my prayer book and I will pray for you and your child. This is a wonderful piece of encouragement. God bless you. Thank you for sharing your heart. And much much thanks for your prayers. I am so sorry for your tears about your firstborn. I had two older sisters who made some decisions my mother wept about. As the middle of 5-children, I saw what their decisions did in their lives and it brought me to God and a faith I cherish. The oldest child has a lot of pressure from the family to do what parents think is best. 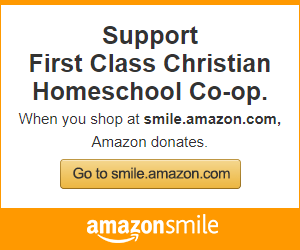 As you already know, our current society/satan is delighted to steal our children’s hearts and fledgling wisdom. Heidi’s blog above helped me to remember “Don’t Be Afraid, God Always Shows Up”. This message helped me a lot. I pray it will keep you Mom Strong as well. Thank you. Yes! I’ve always told em and shown em from the Bible, Satan goes after the firstborn. It’s a battle and I’m trying to glean strength from kindred sources. Thanks for the info!